Facebook has been known to add features that ostensibly make it easier for you to help the world around you. It has added a few new features to its various platforms that are going to make generous and charitable people very happy indeed because of the fact that they are going to help streamline the various things that you would be able to do in your attempts to make the world around you a better place overall. 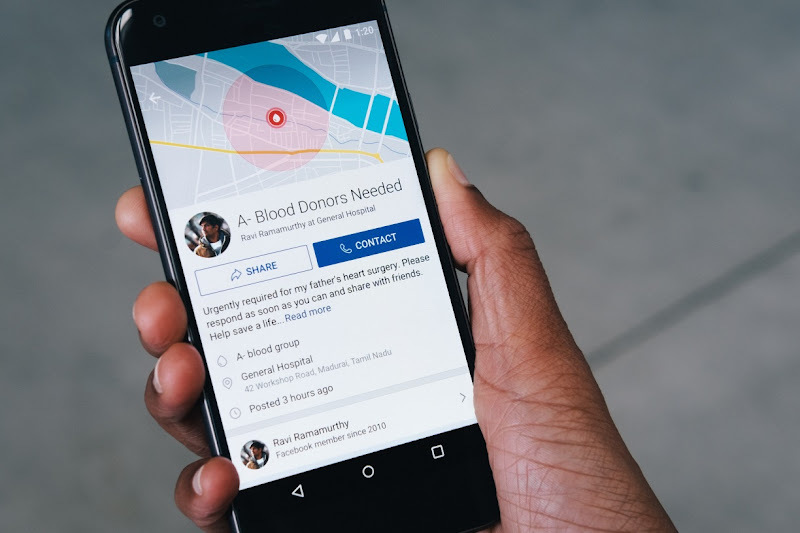 The first update came to Facebook itself, and it centers around the all important area of blood donations. In about four countries around the world, namely Brazil, Bangladesh, India and Pakistan you could sign up to receive notifications in the event that blood was needed anywhere close by. The response to this tool has been pretty incredible, with tens of millions of people having signed up for the tool in the two years that have gone by since it was first launched. One aspect of the tool that was criticized was the ability to request blood because of the fact that it lead to the creation of a proto-black market for blood. This tool is now set to launch in the U.S., so it seems like the four countries that it was previously launched in were a testing ground. Facebook probably had an idea of how a tool such as this could potentially end up causing problems in the long run, and so it tested the tool out in countries where regulations were not quite as strict as they are in the US. The platform will now be launched in the US without the blood requesting option, although organizations with a reputation such as the Red Cross will be able to ask for donations. It seems like only individuals will not be getting this option. "Our Blood Donations feature — which enables people to sign up as blood donors and get notified when blood donation centers near them need blood — will be launching in the US in the next few months. ", announced Facebook team on its company website. Facebook is also bringing a feature to Instagram that is going to make generosity a great deal easier than it would have been otherwise. Basically, you are getting a new sticker that you can add to the various stories that you are adding to your profile on the app. This new sticker is going to be a little different from the musical cats and the various other cute additions that you could offer to the people seeing your stories previously. Basically, this new sticker is going to allow people to tap on it to donate to a non-profit organization or a charity of some sort. While some people might be concerned that big name influencers on the platform might use this kind of sticker to raise funds for their own personal use, Facebook has assured users that the sticker can only be used to give money to a non-profit. That being said, IGTV might get a sticker like this as well for tips and the like because of the fact that that platform is trying to compete with Twitch that offers tips and the like. "Later this year, Instagram will bring the ability for people to support nonprofits that are important to them through a donation sticker in Instagram Stories. ", announced Ime Archibong, Facebook's VP of Product Partnerships in a blog post.